The rates on our site are the same (and sometimes better!) than on other websites. 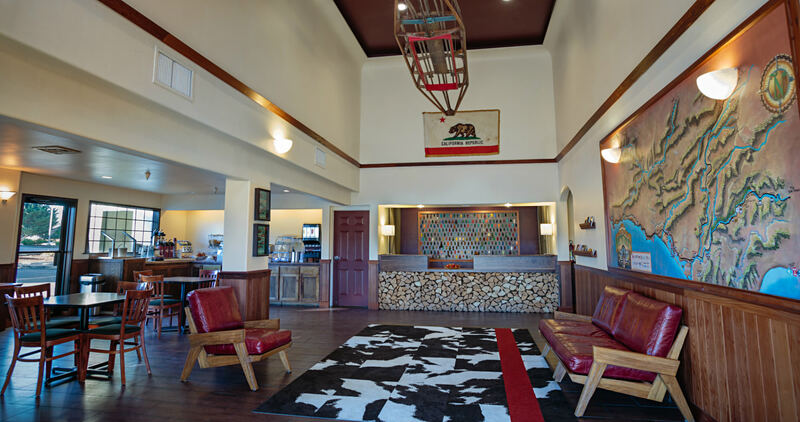 You will always get the best available rate at The Redwood Riverwalk Hotel when you book directly on our site. When you book directly with us we have a dedicated team that truly cares. Your family vacation, business trip or long awaited romantic weekend is too important to risk by booking on another reservation site. We are 100% dedicated to handling your needs. Other reservation sites are handling the needs of tens of thousands of properties so book directly with us. Guaranteed lowest rate. Always the best rate. No hidden fees. Many online travel sites charge an extra fee for online bookings. We don’t. It’s just sneaky. Special requests. You can get exactly what you need by communicating directly with the hotel. Extra bed? Upper floor? Need to change your reservation? Best place to eat? Always here. Booking is quick and easy on our website but if you need help we are just a phone call away. Live, local team member to answer your call. What to do if you find a better rate? If you find a better rate on another site that isn’t available here, just call 707 725 5500. Tell us where you found it and we’ll match it then and there… and we’ll throw in an additional 10% discount! Because “a deal’s a deal”.